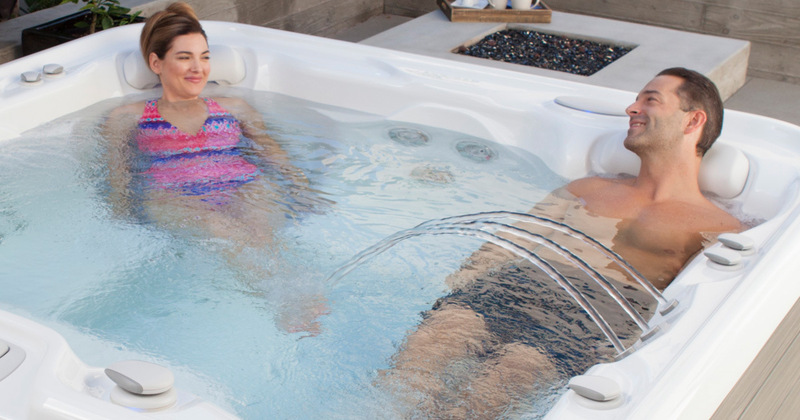 Hot Spring Spas Hot Tub Rebate Event! It’s FALL and that means SPA TIME – the perfect time to save on Hot Spring Limelight, Highlife and Highlife NXT spas at our Hot Tub INSTANT REBATE Sales Event. From September 14 – 24th we are teaming up with Hot Spring Spas to bring you a special offer of a $1,000 Instant Rebate with your purchase of a new Highlife Collection or Highlife NXT Collection Spa. ($500 Instant Rebate with purchase of a new Limelight Collection Spa). Swing on in to pick out the perfect spa for you, your family, and your backyard oasis. We’ll have you soaking under the autumn stars in a flash! LIMITED TIME event, so hurry – it ends September 24, 2018! See you soon – your hot tub is waiting!